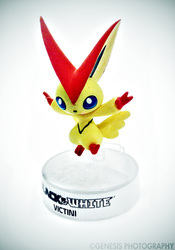 These figures are specially released for the Trading Card Game. 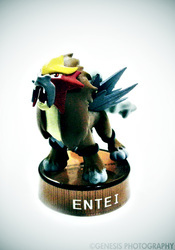 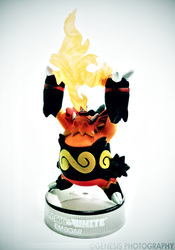 This trend started with re-release of the Entei bottlecap figure as part of the promotion of the HeartGold and SoulSilver TCG set. 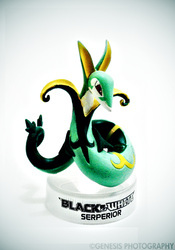 Since then special tins such as the Sneak-Peek tins of the Black and White set has featured figures in bottlcap bases of the Unova starter Pokemon. 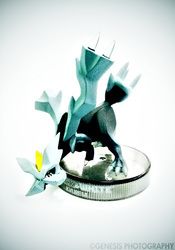 However, it is not limited to these size of figures as recent TCG figures of Zekrom and Reshiram show bigger figures mounted on lower but wider bases. 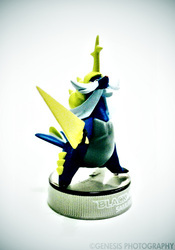 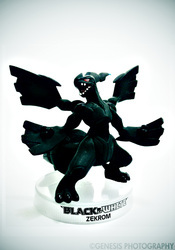 More figures are expected to come featuring more of the Pokemon from the 5th generation. 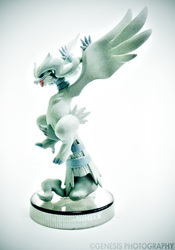 As of the moment, this is the only line of Kaiyodo figures that features Pokemon from generation 5 which a lot of people (including myself) thought would not be possible.